Berkeley is a small town located between Bristol and Gloucester, in the English county of Gloucestershire on the edge of the Cotswolds. The historical town has existed in the Vale of Berkeley for over 9 centuries, as long as its main tourist attraction, Berkeley Castle. The town is located (Post Code GL13) two miles West, off the busy Gloucester/Bristol trunk road (A38), and sits at the head of the Berkeley Vale, some of Gloucestershire's most beautiful countryside. Berkeley is rich in all sorts of history, and well known for its people, events and science. Berkeley Castle is the most famous landmark in the area and suffice to say, the town's history begins there and moves through almost every building around the town centre. The town is dominated the castle which was built in 1117 but now mostly fourteenth century having been remodelled in the 1350`s. The castle has been in the hands of the Berkeley family for over 900 years ( also see other family home at Spetchley) and has seen many historic events, the murder of King Edward II in 1327 perhaps the most infamous. Queen Elizabeth I also visited the castle on several occasions. For further information see - Royality in the Cotswolds. The castle houses many fine collections of ceramics, paintings and silverware acquired by the family over the generations as well as national treasures such as Sir Francis Drake`s cabin chest; the castle`s archive has over 20000 documents dating back to the early 12th century. Today the castle, gardens, and butterfly house, attract visitors from all over the country, and there’s a full schedule of events throughout the year. William Shakespeare's Midsummer Night's Dream was allegedly written for a wedding of one of the Berkeley family, of Berkeley Castle, in 1596. Dickie Pearce, family jester to the Earl of Suffolk and probably the last court jester in England died at Berkeley Castle when he tumbled from the minstrel's gallery in the Great Hall during a performance. Edward Jenner's birthplace - Dr Jenner’s House, Museum and Garden traces the impact of one of the pivotal events in world history, in the place where it happened. This is the house where Edward Jenner, pioneer of vaccination against smallpox, lived and told the world about his work. Less than 200 years later, smallpox had been eradicated, with countless lives saved in the process. It is said that William Shakespeare lived for a short time in the area, but the most famous personage is almost certainly Edward Jenner, the founder and father of immunology. Jenner's most important contribution, to this day and blessed by millions around the world, is the global eradication of Smallpox. 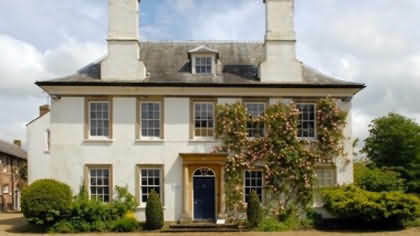 The Edward Jenner Museum is close to the town's centre. The rest of the town is an interesting mix of the historical and contemporary, with traditional accommodation like The Malt House and Berkeley Arms, sitting alongside modern shops and contemporary hotels. There are good road links, and a proximity to Bristol International Airport, which mean that the town of Berkeley is very accessible. Nearest mainline railway stations are at Bristol and Gloucester. St.Marys church has some fine examples of 13th century stone work, there is a Perpendicular mortuary chapel with some superb monuments and a detached 18th century tower, the churchyard has a number of notable tombs including that of Dicky Pearce the last Court Jester who died whilst performing at Berkeley Castle. Dr. Jenner's House, formerly known as the Edward Jenner Museum, in Berkeley, England, is housed in a grade II* listed early 18th century building called the Chantry, famous as the home of Edward Jenner FRS, physician, surgeon and pioneer of smallpox vaccination, and now used as a museum. Visit the site where history was made. Discover the work and legacy of the remarkable Dr Jenner by visiting his former home in the historic market town of Berkeley, Gloucestershire. See Jenner’s Study, stand in the Temple of Vaccinia and learn more about Jenner’s wider interests, including fossil hunting and ballooning.